Ribbed crewneck. Short sleeves with mesh inserts under arms; Ribbed cuffs. Sweat-wicking Climalite fabric. 51% polyester / 49% recycled polyester doubleknit. 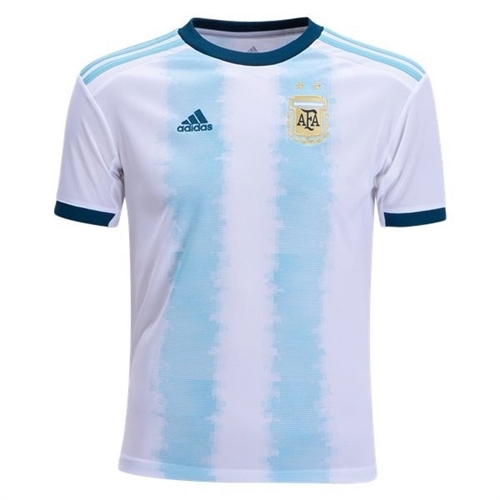 Our adidas Argentina Youth Home Jersey 2019 is the one the Argentine national team wears when they play at El Monumental. 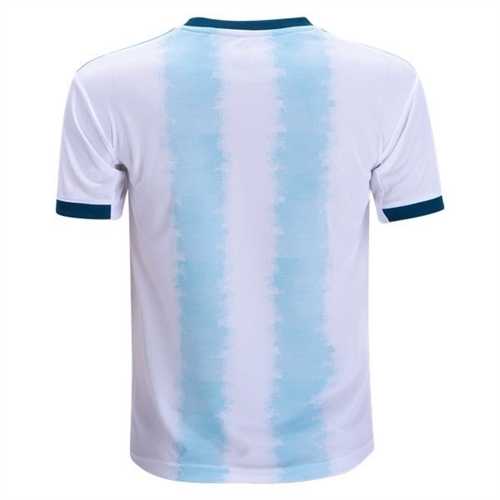 The shirt celebrates their legacy with an embroidered Argentine Football Association crest on the chest. To say that Argentines like their soccer is an understatement. By far the most popular recreational sport, soccer is played by young and old alike, with 90% of Argentines declaring allegiance to an Argentine soccer.